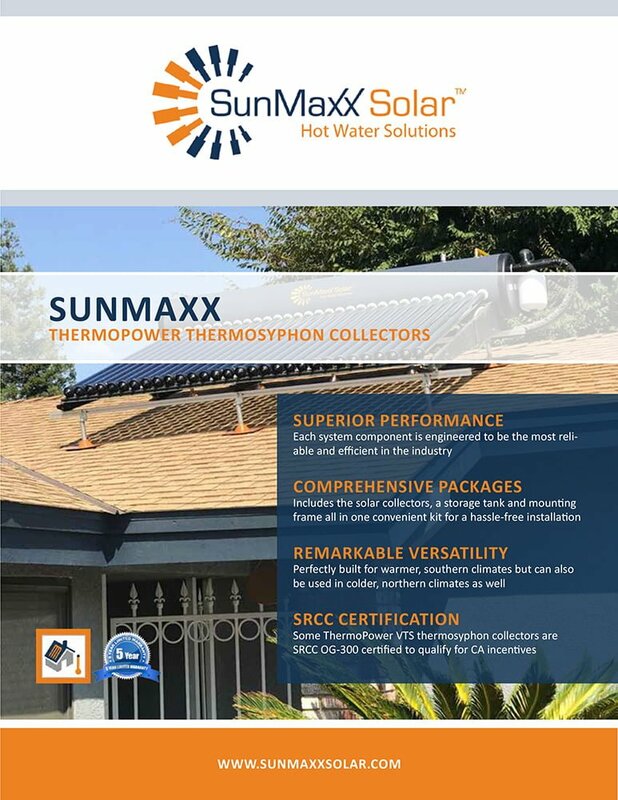 Our complete line of thermosyphon solar collectors include both ThermoPower evacuated tube and TitanPower flat plate thermosyphon collectors, including an SRCC OG-300 model for maximizing your solar incentives and rebates (especially in CA). 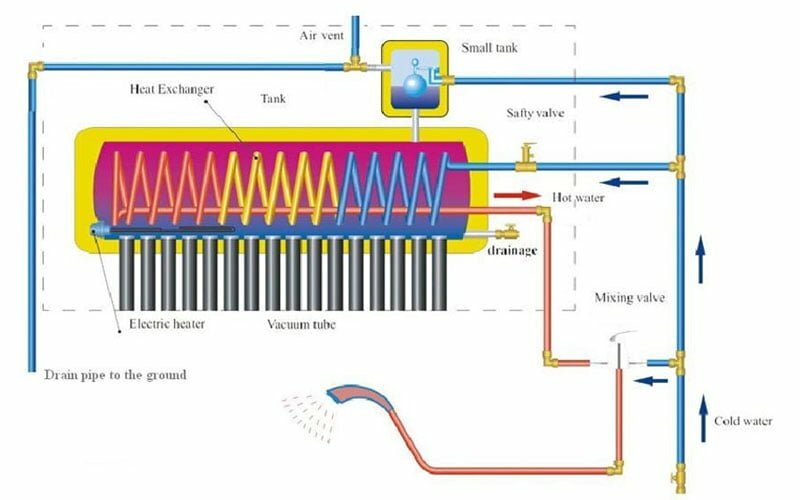 Thermosyphon collectors are specially designed to perform in warmer climates, making them a great choice for customers in the Caribbean and Pacific Islands. However, they are also well suited for performance in colder northern climates. Each ThermoPower &amp; TitanPower DIY Thermosyphon includes all of the major components you need for a complete installation right out of the box. 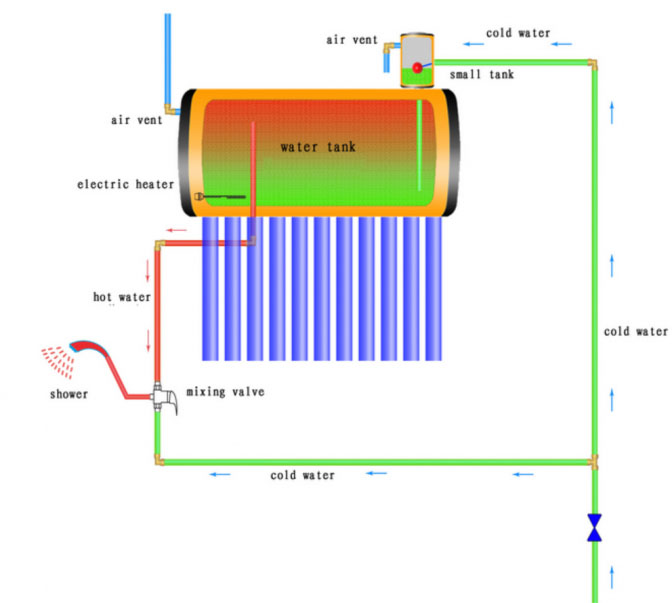 Save time and money by installing your own solar hot water system! Each DIY Thermosyphon kit is simple and fast to install for moderately experience DIYers and handymen. 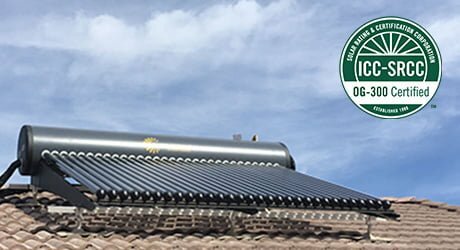 Just put your new Thermosyphon in the sun, sit back and enjoy the benefits of hot water without the expensive costs fossil fuels and traditional water heaters. 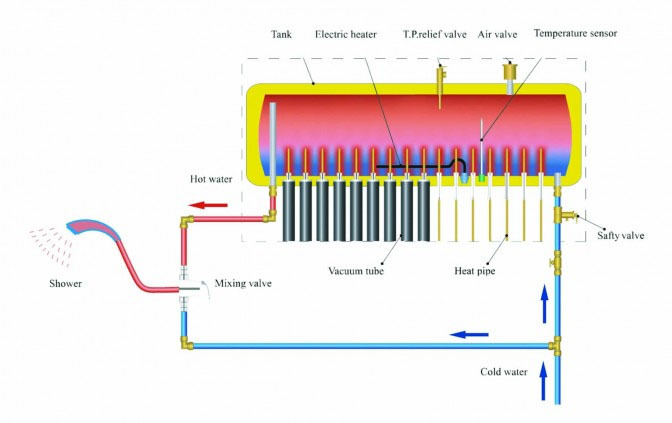 Each Thermosyphon kit is designed to deliver maximum performance and efficiency in all climates at a fraction of the cost of other leading solar hot water & heating systems. 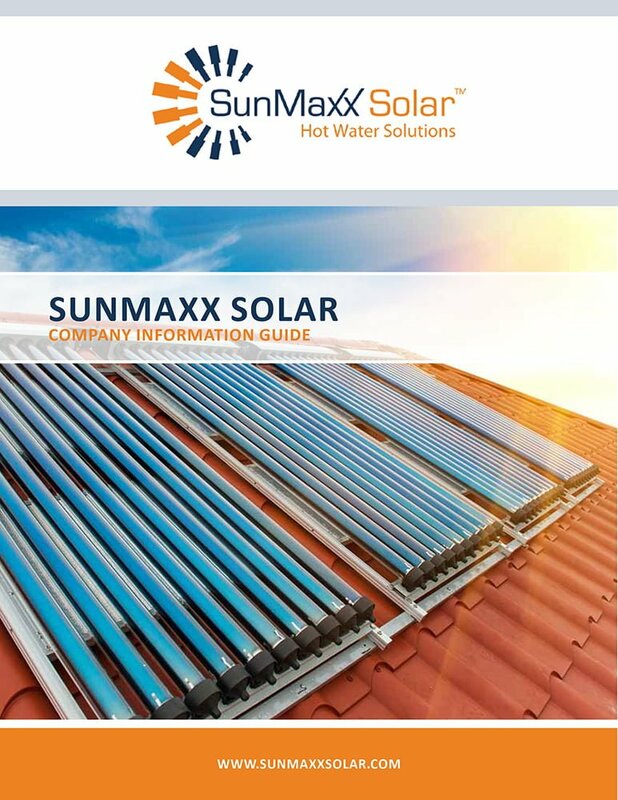 Many SunMaxx ThermoPower Evacuated Tube Thermosyphon Solar Collectors are certified OG-300 approved by the SRCC. 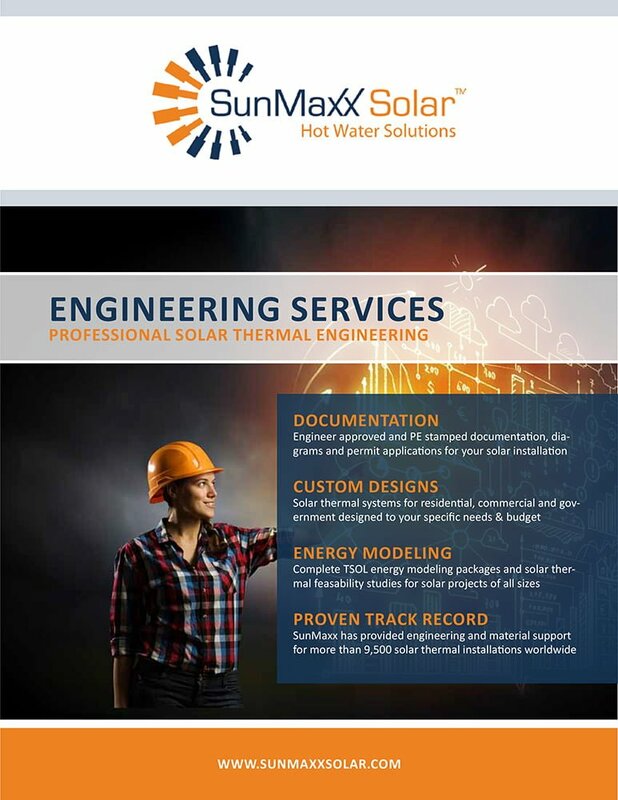 SunMaxx provides the SRCC OG-300 on our Thermosyphon solar hot water systems to better information and service our customers. 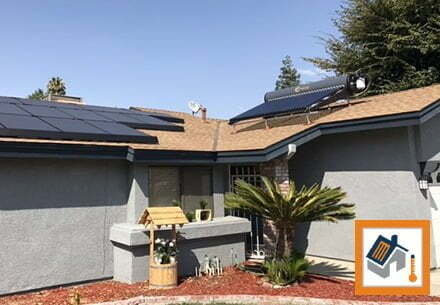 OG-300 Certification protects you, our valued customer, by ensuring that you have all of the relevant performance data for your thermosyphon solar hot water system before you purchase. By going through a 3rd party, the SRCC, for our certifications, you can trust that our collectors are independently tested and certified to provide the performance and energy production noted on our website and in our literature. Ask your sales rep about OG-300 Certification today.